Don’t ignore a toothache. The longer you ignore tooth pain, the more likely it’ll develop into something more serious. 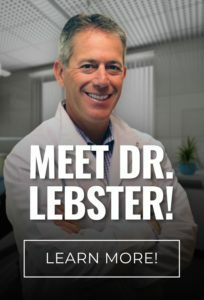 Dr. Lebster DDS is available 7 days a week for fillings and other emergency dental services. Please call for an appointment. Many local dentists refer their patients to us when their offices are closed for evenings, weekends, and vacations. We also treat patients who don’t have a dentist. If we discover tooth decay, we’ll need to drill out the cavity and fill the hole with amalgam or composite resin. The cavity filling restores your tooth to its natural strength and appearance so you can smile with confidence. Restore your tooth to its natural strength and appearance so you can smile with confidence! If you have a cracked tooth, call our office as soon as possible to schedule emergency dental care. Depending on the extent of the crack, we may be able to save your tooth by placing a dental crown. A dental crown (also called a “tooth cap” by our patients) covers the entire visible portion of your tooth above the gum line. Apply gauze to tooth to soak up blood. Apply cold compress to cheek to reduce swelling. Save tooth fragment if possible. Do you play contact sports? If so, you should be wearing a mouth guard to protect your teeth and gums from a blow to the face. For example, a football mouth guard protects your smile the next time you’re tackled on the field by someone built like a refrigerator. Our dentist can create a custom mouth guard for the ultimate level of protection. Need a 24 hour dentist? To see our Holland emergency dentist as early as today, call RediDental Emergency Dental Care at (616) 796-3200.